"To respect the individual is to be committed to each person that comes into your circle." 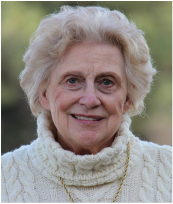 We work in partnership with Dr. Nancy Foster, PhD, APRN, owner of Therapeutic Lifestyle Center of Utah, to offer holistic psychiatric services. Treatment for cognitive behavioral health issues must follow what is defined as a spectrum of concern in regards to the patient's needs. Our evidence-based approach to medical causes, physiological and psychological concerns, sociological relationships and health issues provides a solid foundation for measuring each individual's required care. Through careful observation, active listening and objectively interpreting medical lab results, our certified and licensed professionals, supervised by Dr. Nancy Foster, are able to measure both immediate and long-term treatment options. A patient's spectrum of concern fluctuates over time and with growth. We adapt our recommendations or referrals to accommodate each individual's personalized program of therapy. Visit tlcutah.org for more information.